Access to health care has long been a challenge in rural communities, defined as sparsely populated areas far removed from towns and cities, but obtaining the latest information on clinical practices can be an equally daunting hurdle in providing quality care in distant locations as well. 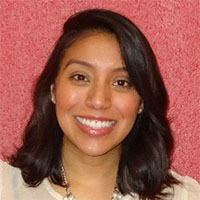 That’s why Dr. Krystal Chan, Chief Resident at the University of New Mexico (UNM) Health Sciences Center, has made it her mission to raise awareness about the Choosing Wisely campaign with peers at her institution, among the nation’s Top 5 academic medical centers for rural medicine, and other clinicians serving far-flung communities surrounding Albuquerque. Last April, Dr. Chan and two colleagues developed a presentation on Choosing Wisely for the UNM School of Medicine’s 39th Annual Advances in Primary Care Conference, which draws health care providers from small-practice settings throughout New Mexico and the United States as well as internationally and is designed to educate participants about current trends in primary care. “We started with what Choosing Wisely is, and introduced the participants to the app, which we really liked,” said Dr. Chan. The trio then presented three case studies on Choosing Wisely recommendations on imaging for headaches, prescribing benzodiazepine and antibiotics, and ordering EKGs. “It was a really great opportunity to educate smaller community-based hospitals and primary care centers. We are the only academic medical institution in the state. It really is our responsibility to disseminate information such as this.” They made use of the campaign’s physician communication instructional modules on how clinicians can address patient requests for unnecessary care. Dr. Chan said the Choosing Wisely mobile app was a particularly important tool for ensuring quality health care in rural communities because providers do not have to rely on computer access to keep abreast of clinical information. “A lot of these communities are far away from big cities. A lot of these communities don’t have running water or electricity, so hopping on the internet is a novel thing. I think that’s why people loved the app so much. It’s user friendly, and on their phone. They don’t need to have a desktop to be able to look things up,” she said. In addition, providers in rural communities are often isolated from academic medical centers, where daily talks and journal discussions allow clinicians to gather and share knowledge regularly, and provide a built-in support system. Next steps for Dr. Chan are to use other opportunities to educate upstream and downstream about Choosing Wisely at UNM, such as talking with residents during their afternoon reports three times a week or as part of the quality improvement half-day seminars taught twice a year. She also plans to request additional time during her monthly report to hospital leadership as chief resident to discuss Choosing Wisely recommendations and implementation. 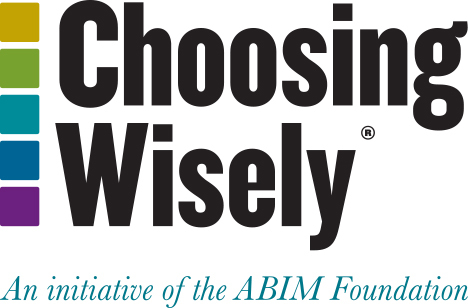 Download the Choosing Wisely app to your Apple or Android device.